Welcome to the Winner’s Circle. Christina with 2-time Champion Filly, Songbird before the Grade I Ogden Phipps Stakes. After winning 9 Grade I Stakes and $4.7m on the track, Songbird was sold as a broodmare prospect for $9.5m. GI Sprinter Sam’s Sister was highly recommended by Christina Jelm at the Keeneland Auction to Hollendorfer, Dedomenico and Todaro and purchased as a $125,000 yearling. 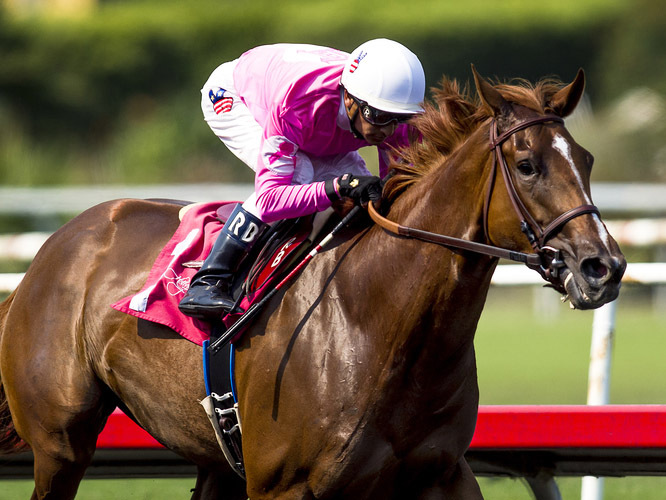 Her speed won her the G1 La Brea Stakes. Upon retirement from racing she sold as a broodmare prospect at Keeneland for $1,200,000. GI Sprinter Wild Dude, a two time Grade 1 winner, was purchased on behalf of Jerry Hollendorfer and Green B. Smith for $42,000 at OBS 2 year-old auction. 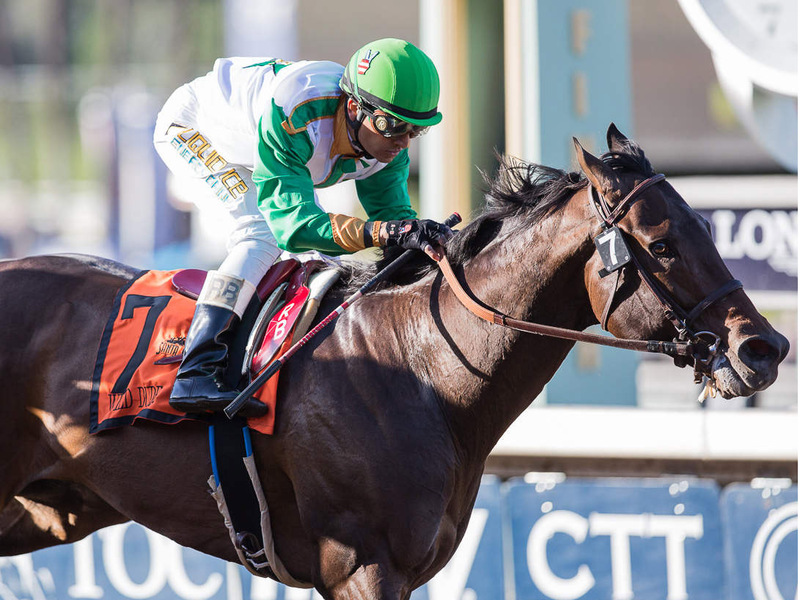 While earning over $1,000,000 Wild Dude Dominated the G1 Bing Crosby, SA Sprint Championship, G2 Palos Verdes, Portrero Grande, San Carlos, Pat O’Brien, etc. GI Sprinter Sweet Lulu was purchased on behalf of Steve Benito as a yearling at Keeneland for $270,000. Among her wins under Jerry Hollendorfer was the G1 Test Stake at Saratoga Race Course. 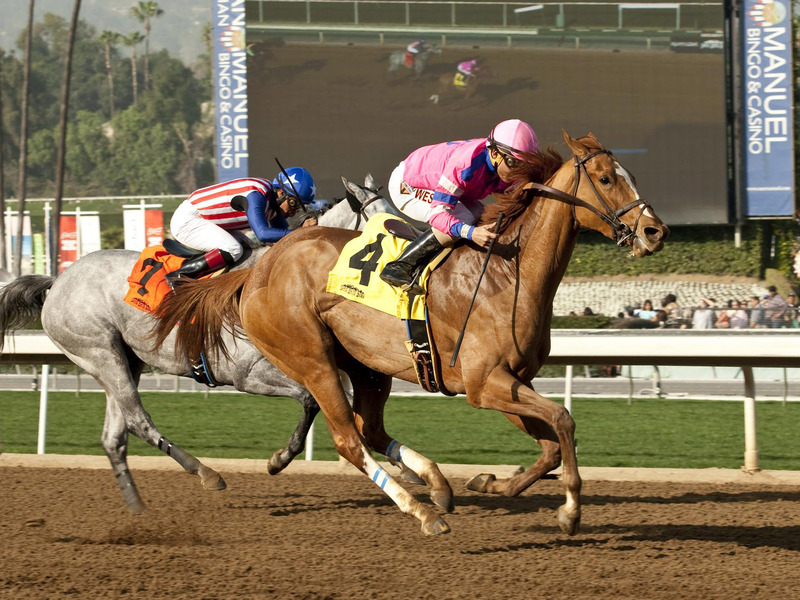 She followed her on-track career by selling at Fasig Tipton to Summerwind Farm, in-foal to War Front, for $3,000,000. When it comes to horses, it’s hard to think of something Christina Jelm hasn’t been involved in. Fox hunting, polo, Saddlebred riding? Check. Thoroughbred trainer, breeder, owner? Yep. Corporate marketing, bloodstock agent, international exporter? You bet. Fox Hill Farm’s Songbird wrapped up her major preparations for Saturday’s Grade 1, $600,000 Alabama with a half-mile breeze Monday morning at Saratoga Race Course. Christina rode into her youth competing as a Saddleseat equation rider under the tutelage of Paul St. Charles in Akron, Ohio. She went on to receive instruction from Saddlebred trainers Lonnie Lavery and Bill and Nancy Becker. At 13 years old, she would regularly leave her school classes to fox hunt in her home town of Bath, Ohio, riding on thousands of acres with Raymond C. Firestone and his West Country Beagles (Lorai Hunt), which also hosted the Bath Pony Club. By the age of 19, Christina became the youngest licensed female Thoroughbred Trainer in the United States. She focused on the development of young horses. Soon after, she found herself in Lexington, Kentucky managing the NTRA’s first $1m sponsorship account for John Deere fulfilling over $17m in industry Ag sales to members in their inaugural year. 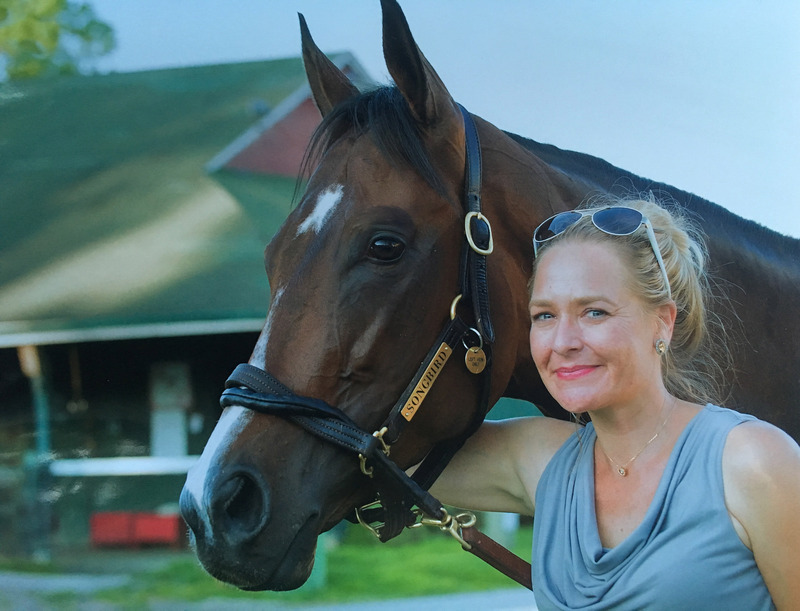 Her newfound corporate experiences and a lifelong passion for superior horsemanship led her to write a white paper and the original business plan, including curriculum, for the North American Racing Academy now based at Keeneland’s Thoroughbred Training Center in Lexington. She championed industry leaders including The NA Jockey Club, Keeneland, National HBPA and The KY Horse Park to launch the Academy with HOF Jockey Chris McCarron and the support of KCTCS, now run by Remmi Belloq. Beginning in 2008, Christina began exporting US Thoroughbreds for racing and breeding purposes to Asia, predominantly Singapore, Hong Kong and Macau. Upon return from her foreign travels in 2010 she and hometown family friend, HOF Jerry Hollendorfer, met at the Ocala Breeders Sales to begin forging an ongoing partnership of Bloodstock and Training services. Christina currently advises, manages and represents horses for individual clients as well as Jerry Hollendorfer. Christina is a founding member of the Blue Grass Farms Charities in Lexington, Kentucky. Founded in 2003, Blue Grass Farms Charities is a unique 501(c)(3)nonprofit dedicated to providing health and human services to people working in Central Kentucky’s Thoroughbred industry.